The color is bright and golden, the nose open and expressive, and the palate is dominated by a refreshing mineral tension. Suggested Pairings: This champagne is the perfect accompaniment to mild and subtly spiced dishes with cooked fruit, sweet/savory dishes or tajines. 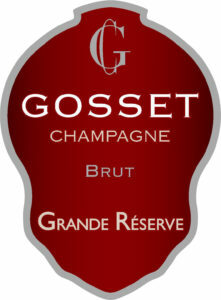 A blend of three vintages, the Grande Réserve Brut is adaptable by nature — from apéritif to dessert. Softly intense with fine, lasting bubbles and notes of lemon pith, apple tart, freshly baked rye and chalk. Rich, with pastry and vanilla accents on the nose, this shows flavors of glazed apricot, chopped almond, kumquat and saline, backed by vibrant acidity on the fine and creamy palate. Drink now through 2021.